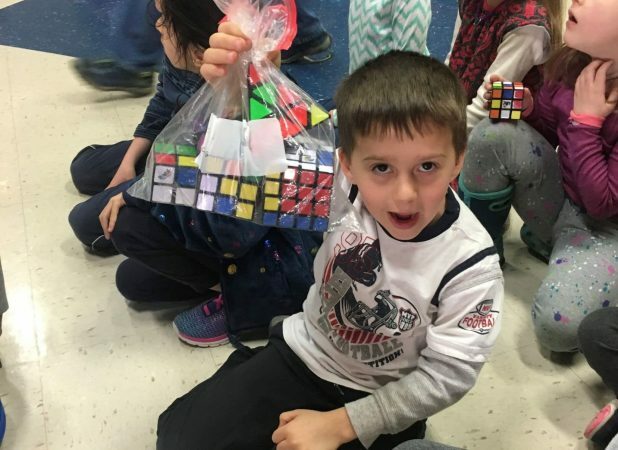 The clickity-click and slide of cube puzzles being solved punctuated the buzz of conversation and focused attention of more than 90 members of Eastern Mennonite Elementary School as they celebrated Rubik’s Cube Day. Many students brought their own cube or cubes to solve. Some brought entire boxes of the puzzles in various sizes and shapes. For those who may be new to cube puzzle solving, extras were available, along with support from teachers and friends to try something new. 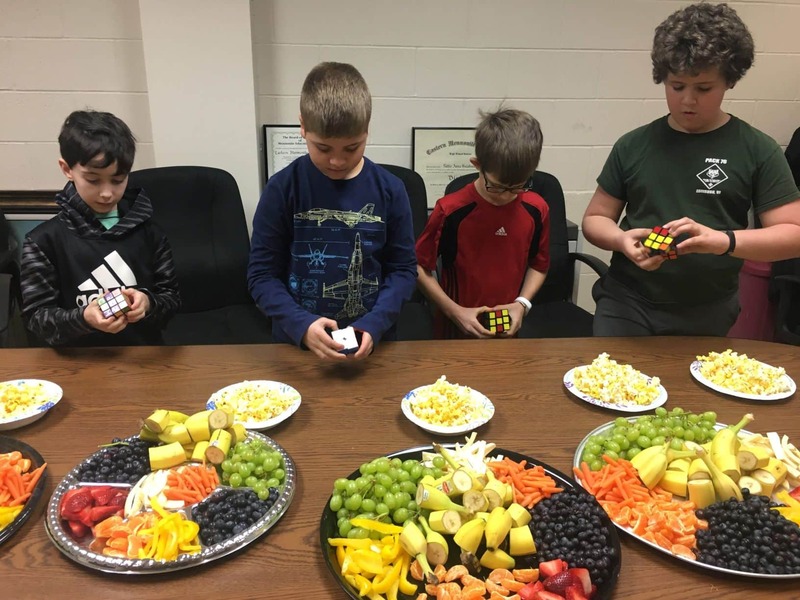 The event ended with snacks featuring the Rubik’s Cubes colors — strawberries, blueberries, bananas, grapes. The elementary school meets each Wednesday for a Gathering where they hear lessons from local pastors, listen to stories of faith from community members, and participate in community building activities. Gatherings are also a time for singing together — songs of faith. Students enter and leave Gathering quietly, creating a sacred space for all students to learn together. Guests are welcome to observe Gathering, which is generally held Wednesdays at 9:30 a.m. If you wish to observe, contact Marsha Thomas, admissions counselor, to confirm that week’s plans. Park in the front of the school and enter through the main office to sign in and get a guest badge.